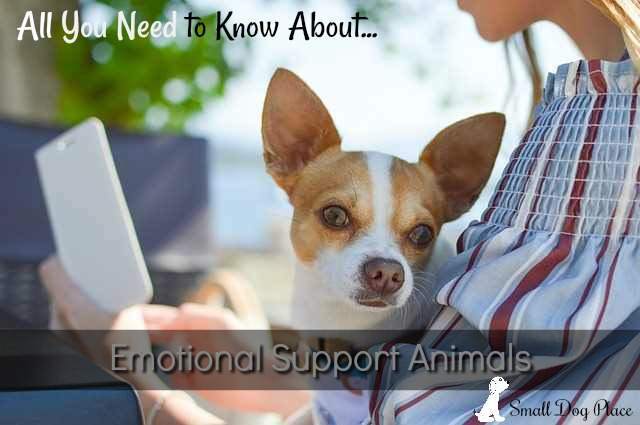 An emotional support animal (ESA) is a companion animal that a licensed doctor or mental health expert has prescribed to an individual experiencing an emotional or mental disability with the belief that the animal provides them therapeutic benefits. This may include alleviating at least one symptom of the disability. An ESA can be any domesticated animal, typically dogs, but sometimes also cats, hamsters, birds, horses, and other animals that may be used by people with a range of psychiatric, physical, or intellectual disabilities. A lot of people get confused between ESAs and service animals. While the primary purpose of both animals is to provide physical and mental stability to their owners, service animals are trained to fill their master’s limitations as a result of blindness or any other physical impairment. For this reason, they are also granted more public rights as compared to emotional support animals. Service animals are dogs that are specially trained to work or perform tasks for their disabled owners/handlers. They are highly trained to recognize and respond to the symptoms of the physical and psychiatric disability. For instance, a dog that is trained to sense and help the signs of Post-Traumatic Stress Disorder in his owner by avoiding environmental triggers would be considered a service animal. Similarly, a dog that assists its blind owner cross the road would also be seen as a service dog. Both local and federal laws allow service animal access to public places where they can accompany their disabled owners, places where regular pets or even emotional support animals would not be allowed. How Do Emotional Support and Service Animals Differ? For a dog to be a service animal, it should fulfill the following criteria, as put forward by the Americans with Disabilities Act (ADA). The person in need of a service animal must have proof that he is suffering from a life-limiting disability. According to the ADA, a Service Dog has been trained to perform a task for an individual with a disability.
'' ...include guiding people who are blind, alerting people who are deaf, pulling a wheelchair, alerting and protecting a person who is having a seizure, reminding a person with mental illness to take prescribed medications, calming a person with Post Traumatic Stress Disorder (PTSD) during an anxiety attack, or performing other duties." 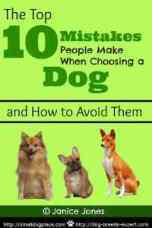 Second, the dog must have gone through proper training that enables it to detect and respond to their master’s disability by carrying out tasks or assisting the individual with certain things, such as crossing the road. Furthermore, these dogs must be well-behaved and must not cause chaos in public, or else they be legally excluded. Service dogs are granted access to all public places, where they can accompany their disabled owners. These places include restaurants, markets, shopping malls, grocery stores, and non-sterile hospital areas. Neither service dogs nor emotional support animals are obligated to wear an identification tag or vest, but many owners use special harnesses or ID badges to distinguish their animals from other pet dogs when out in the public, or in case they get lost. On the other hand, ESAs are not obligated to be trained. However, they are still expected to be kept under control and well-behaved to prevent any disruption in public. Emotional support animals are not allowed in most public places, except for those that have pet or ESA friendly policies. However, they are protected under the Air Carrier Access Act and the Fair Housing Amendments Act, which means they are granted access on airplanes and allowed to live in a residence that might not be pet-friendly. An increasing number of people with emotional or mental disabilities are turning towards ESAs, incorporating them in their treatment plans owing to a number of physical and mental health benefits that they bring along. Let’s take a look at 5 ways in which ESAs can help you cope with mental conditions and also improve your overall health. Stress Busting – petting an emotional support animal, especially a furry dog or cat, not only feels amazing but can also help you fight stress, lower your blood pressure, and also enable your body to relax by releasing a soothing hormone, which will help reduce the impact of stress hormones. Improve mood – ESA owners tend to be less lonely, more social and generally happier as compared to those emotionally disabled people who do not own emotional support animals. This is because these friendly animals keep them occupied, entertained, and mentally and physically fit. Having a fluffy, cute presence around you is an instant mood lifter and can therefore make your whole day more meaningful. Ease depression – your ESA loves you more than anything, and this can be a great boost to people who struggle with low self-esteem and depression. ESAs neither judge nor disagree with you, which can be something new and very refreshing for depressed individuals. Alleviate Symptoms of ADHD - ESAs can bring a myriad of benefits for children with ADHD (Attention Deficit Hyperactive Disorder). This is because when these kids interact with their pets, they are taught the key lessons of planning and responsibility, and the whole petting experience gives allows them to perform various chores. Furthermore, the bond with a pet and a child is based on unconditional love, which helps children with ADHD learn a valuable lesson in self-respect. Reduce feelings of anxiety, and promotes a general feeling of safety – when you have someone constantly by your side, whether a person or animal, you tend to feel less lonely, happier, and safer. 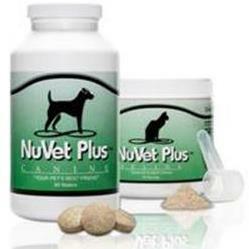 ESAs can alleviate symptoms of paranoia and phobias in their owners. Not everyone can qualify for an emotional support animal. As per the National Institute of Mental Health, every one out of four Americans experience some type of emotional/mental disability. If you happen to be one of those people, you can easily apply for an ESA. You will be assessed by a doctor or a therapist and will eventually be prescribed a therapy animal via an emotional support animal letter. That you have a certain mental disability that limits you from optimally performing daily tasks. That you are currently a patient of the doctor or mental health expert who confirmed your mental condition in the letter. That you are being treated by the same doctor, and the doctor believes that an ESA will be effective at helping you cope with the symptoms. Dog owners spend more time outdoors and get more exercise. You can talk to your mental health counselor for advice or contact Therapy Pet to see if you would qualify for an emotional support animal. If you do quality, a letter from a licensed practitioner is needed to prove that you have a legitimate need to keep an emotional support animal. If you do qualify the prescription letter is good for one year. The letter may help you obtain housing and airline travel for you and your pet. A year may be all that is necessary but in some cases, renewal of the prescription letter will be needed.